Ever see one of those videos where everything is on fast-forward so everything can fit in to a short amount of time? That’s how it felt when I attended SoFabCon14 a couple of weeks ago. As a Northwest Arkansas blogger, my fee was reimbursed but I was not asked to write a blog. This is for my own thought processing and to help others with the information. All information is from my notes and opinions are my own. 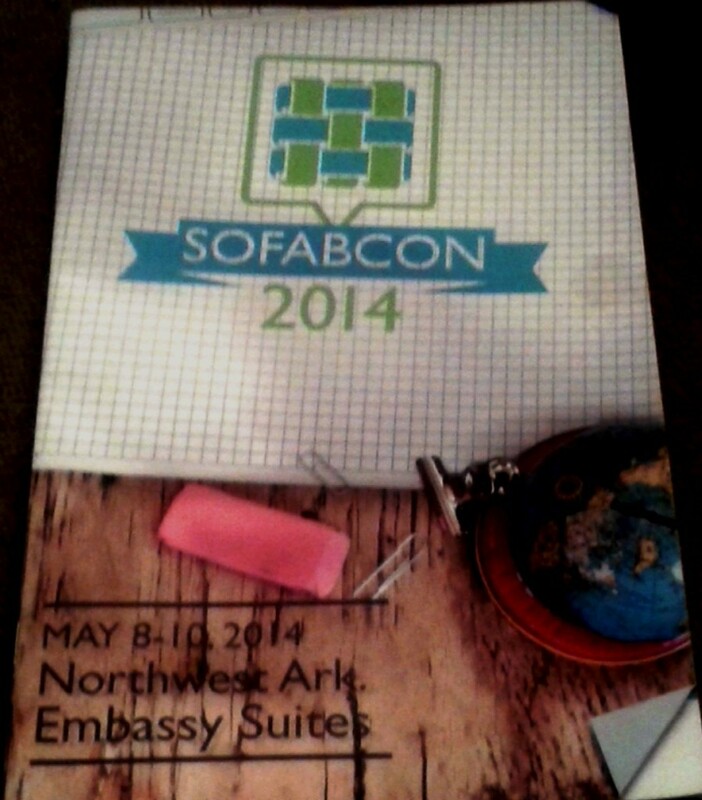 To get the obvious question out of the way, SoFabCon is the name of the blogging conference put on by Collective Bias. Their blogging community is called Social Fabric so read it like SocialFabricConference (not SofaBacon). This is the second year for the conference and it’s chock full of valuable information, fun activities and a fantastic time connecting with fellow bloggers. The conference opened on a Thursday evening with a cocktail reception at Crystal Bridges Museum of American Art. It was so much fun to be there after hours and spend time with bloggy friends from all over the United States and even Canada (I think there were folks from the UK, too!). I even got some Canadian chocolate from my friend Cyn! Before all that I got to hang out with friends at a late lunch at Grub’s and at the Embassy Suites (where the conference was located). I need to better understand my audience…first I must figure out who my audience actually is. I was ready to get to bloggy fun on Saturday and believe it or not, I made it to the Embassy Suites in time for breakfast. Their breakfast buffet is one of the only places I’ll willingly order bacon and eggs when I have other options available. I was also impressed with how they had the containers for the silverware all labeled with easy to understand photos. The first session was a keynote with Denise Barreto. She spoke about how to bring your best talent to your work and how to determine what that talent actually is. Her talk was deep and amazing and deserves its own blog (I’ll link it here when I get it done). One of the features of SoFabCon were the brand salons–a place we could connect with sponsoring brands and get lots of great free stuff! I got my hair done (Clairol) and new lipstick (Rimmel London US) and took this selfie of the results. Another great part of the conference was the Tech Room. Collective Bias’ tech guys worked on our blog/computer questions and they fixed both of my issues! The one that drove me the most nuts was on this blog. See my photo over there on the right? For about a year the writing underneath it was cut off and I couldn’t figure out how to fix it. A few minutes later, Chris had it all fixed up like new. Another great salon was the room where we could connect with Collective Bias employees and even do a craft. I decorated this frame that had a great quote from the keynote in it. I don’t want to take up everyone’s time by repeating all the sessions. But I will share some of the key points I took from the ones I attended. Get comfortable using Instagram video. Write the pin info in the alt description. Don’t accept “good enough” photos. The conference ended with a Collective Bias birthday party. It was a great masquerade party! Some people made custom masks and they had some available. I was thrilled that they also had a face painter there who did an amazing job on me. I felt so pretty! Great roundup! I had such a great time at SoFabCon this year. I should bookmark this for notes. It’s good to get together and remind ourselves of why we do this. Thank you! Yes, I’m glad I did a roundup because it helped me weed through notes. Thanks! I have more notes if you’re interested. I just did the highlights. They will also have them available online for SoFab members. It look like you had a great time. I love the hair and the lipstick. It also sounds like you learned a lot. I hope to make it to a blogging conference next year. Thank you Sonya! Where do you live? There is surely one close by.